Hidden from us by large corporations, exists overwhelming evidence of television’s ability to powerfully decrease and even damage brain function. Don’t expect to see any of this information broadcast on your television screen, the last thing the corporation’s running the television networks want is for people to cut back on, or stop watching television altogether. 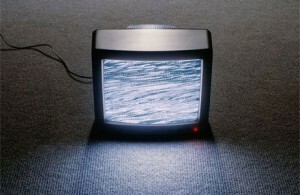 How does TV Damage our Brains? In a remote Mountain Village located in British Columbia, which previously had no cable television, researchers had the unique opportunity to study the differences that occurred after television was introduced. Researchers documented the changes that took place in the community and it was found that both adults and children became less creative in problem solving and were less able to succeed at tasks. 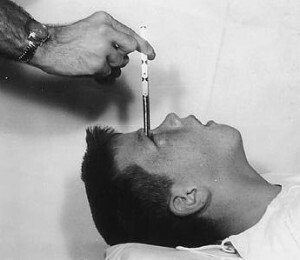 Like Jack Nicholson’s frontal lobotomy he received in One Flew Over The Cuckoo’s Nest, television is effectively performing electronic frontal lobotomies on those who view it. – Greater Separation of Thought from Emotion, making Human Behaviour more Conformist. Additionally, TV viewing is associated with an increase in alpha brainwave activity, and a shift from left to right brainwave activity. “As you watch television”, says Dr. Aric Sigman,” you are less conscious and less able to understand the reason you are being told or shown something.” No wonder corporations are willing to pay millions of dollars for short advertisements on TV. 5 – M. Morgan and L. Gross, “Television Viewing, I.Q. and Academic Achievement,” Journal of Broadcasting, 24:2, Spring, 1980.